Heavy storm clouds blown by strong November winds move over the barn on farm land along Cleveland Avenue at Cooper Road. 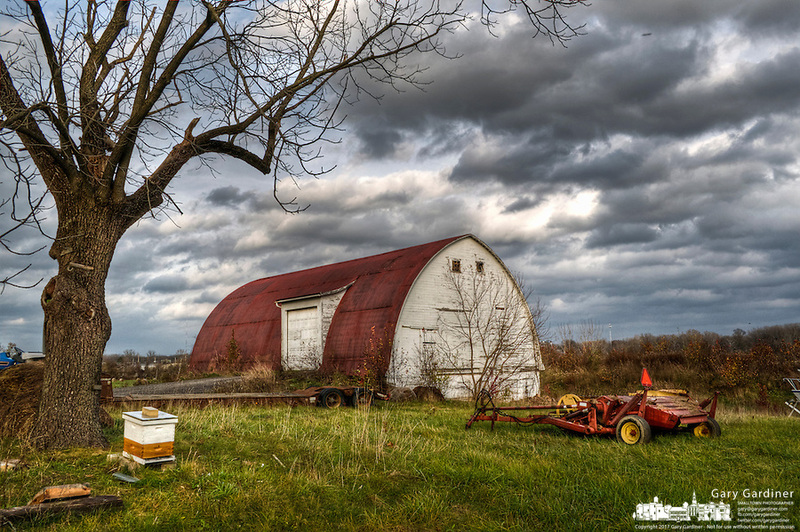 One of the farm's bee hives sits beneath a tree bared of its leaves in the fall. At right is a hay used on the farms hay fields.